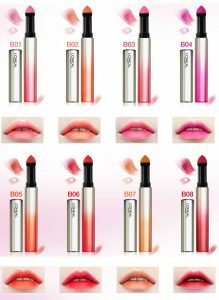 L’oreal Blossom Tint Caresse is the first lip gradation cushion tint with delicate color. Aren’t Inventions in fashion and beauty always less talked about. But just to tell everyone out there, with changing time, some of the brands came up with products that just blew our mind. The changing shapes of beauty products, contouring products which just transforms our features, pointing tip of eye liners, wine infused lip glosses, many more and the latest on the list is the L’oreal Blossom Tint Caresse. 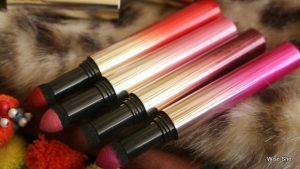 Loreal has never disappointed us, their rigorous attempts to introduce the best in the cosmetic range has always been fruitful to us and the brand. 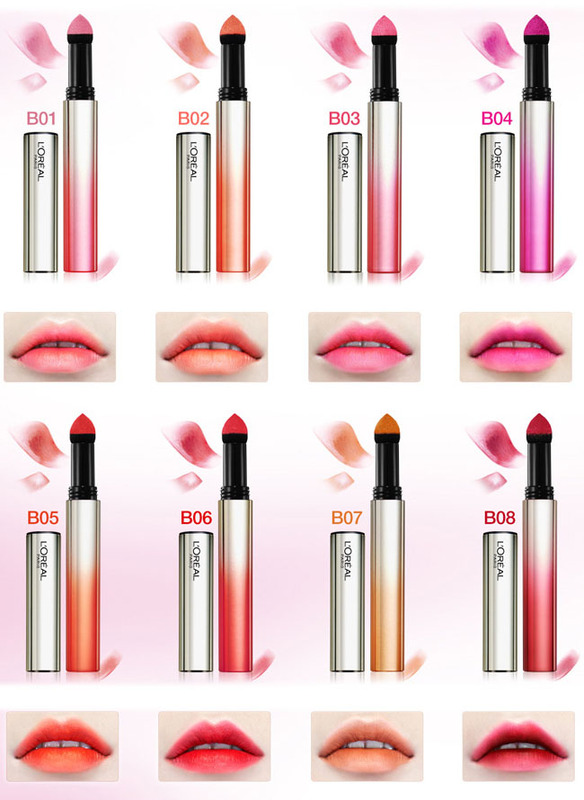 Let’s talk about the latest one: L’oreal Blossom Tint Caresse, a new line of lip gradation cushions infused with tints. The tints from the most refined blend of precious flowers. It claims to be a powder lip tint light as air. The product has perfect coverage without any stickiness. It looks like a chubby felt tip pen. The end is a black sponge applicator with a slimmer tip. 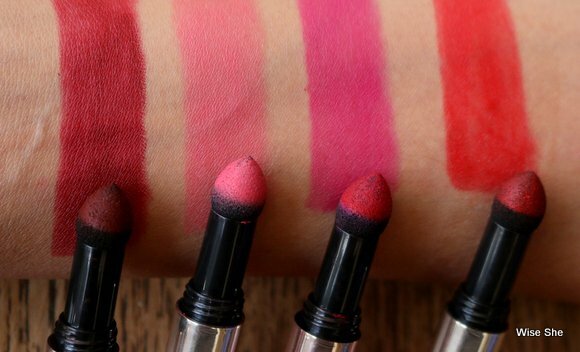 The L’oreal Blossom Tint Caresse delivers vibrant color payoff in a soft, velvety matte finish that feels weightless and is non-drying on the lips. 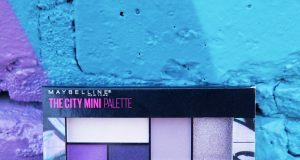 The long-lasting and transfer-proof formula is also a great multi tasker that works as an eyeshadow and lip shade. The outer covering is silver with rose gold hints, on the cap the name of the brand is written. The design made on the packaging corresponds to the family of colors it belongs. 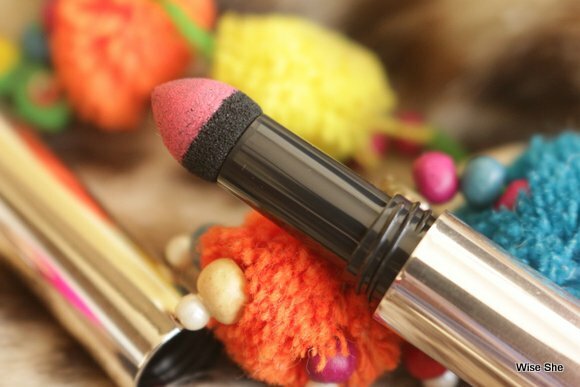 It is soft and smooth like butter with gel-like consistency which is comfortable to carry in matte finish. It is a beautiful cool toned peach shade with pink undertones which looks fabulous on most of the skin tones. It is highly-pigmented and gives silky smooth feel. The powder color and the sponge applicator touch each other when the cap is closed, so when you twist open the cap, the sponge is already loaded with powder. It has a fruity fragrance which is a blend of freshness and energy. Shades are summer colors with lovely shade of peachy-pink. What else we need, a lip tint which stays longer, smooth, matte and most importantly made from the most refined blend of precious flowers. Buy it here. Next articleCould Anything Else Work Better Than Roses In Summer ? ?